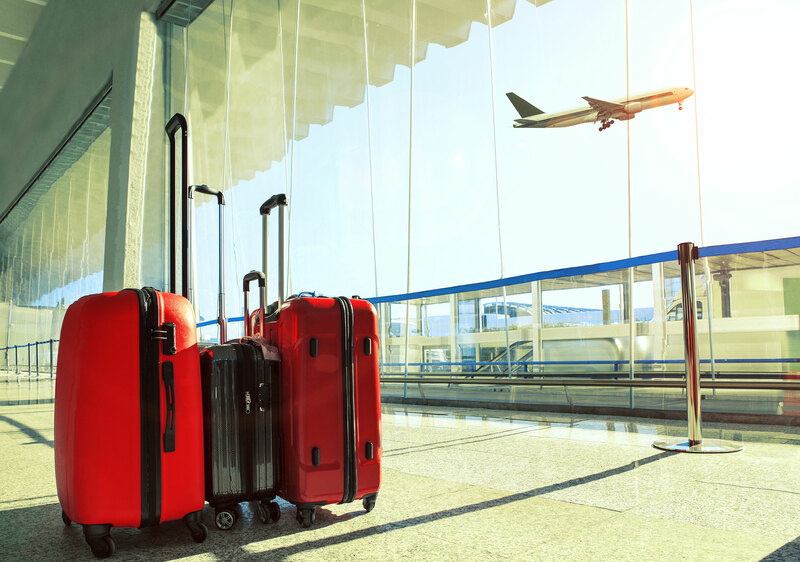 Any parent who was a traveler first can probably remember those easy, breezy days of packing just for yourself before a trip. Fast-forward to having kids, and the logistics of packing multiple suitcases for a vacation leaves you exhausted before you even leave town. In an effort to ease the pre-trip packing process a little, we’ve put together a list of some of those last-minute travel items that are easy to forget—and that you might want to consider picking up now to have handy for the next time you hit the road with your crew. Bonus: Many of these items are available on Amazon Prime so you don’t have to worry about the hassle of running last-minute errands! Raise your hand if you object to paying $4.99 for a bottle of water from an airport kiosk! We sure do! Which is why we suggest having a collapsible water bottle, like this one from Baiji Bottle, along with you at all times. 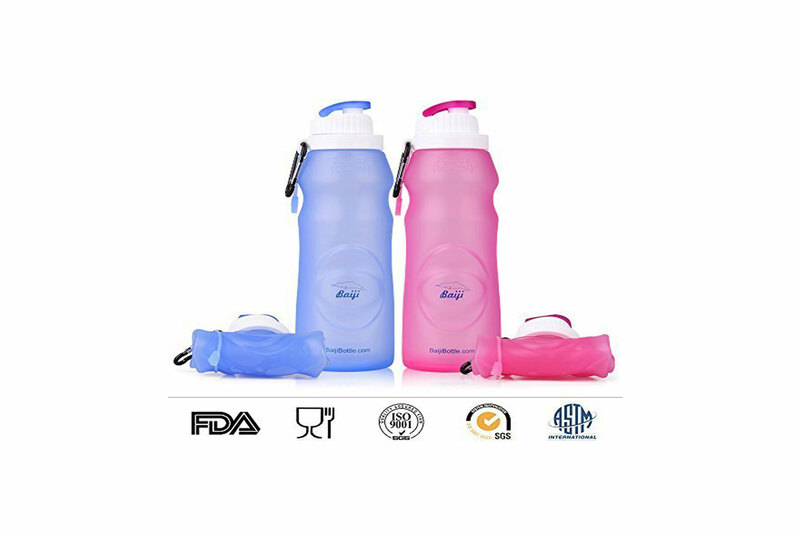 It’s great for filling bottles on the run, and you can ask flight attendants to fill it with bottled water in-flight or look for the water bottle refill fountains that are more and more commonplace at airports these days. Baiji Bottles’ version are made from food grade silicone, so they’re mostly stain and odor-resistant. And when rolled up, they fit neatly in the palm of your hand. A long flight (or let’s face it, even a short one) is the perfect time to use screen time for a little quiet for everyone. Kids will stay all the more tuned in if they can hear what’s happening on the tablet, as well as see it. For headphones that are comfortable and can double as an eyeshade, too, consider ordering the headband-style CozyPhones Kids Headphones. The ultra-thin, removable speakers fit right inside the headband, which you can teach your kid to pull over his or her eyes when it’s time to sleep. There are tons of fun designs to choose from, including pirate-style, unicorn, Paw Patrol-themes and many others. Consider this little travel gem an upgrade in a pillow. The WapWap Travel Pillow is an inflatable leg rest that can turn a regular coach airplane seat into a veritable lie-flat bed for your little one. While it doesn’t come with an air pump, the pillow is easy enough to inflate with your own lung power. Simply wedge it into the space between the seat in front of your child and his or her seat, and voila—a bed for laying down. The pillow weighs just 12 ounces and folds down to fit into a small storage pouch you can pop right into your carry-on or diaper bag. The key to keeping kids entertained on a long flight is to mix things up every so often in the form of something new. Imagine yourself as an in-flight magician, pulling tricks from your hat at perfectly timed intervals. If you appreciate toys that make minimal mess (no-brainer, right? ), there’s lots to love about this Melissa & Doug activity pad that lets kids use a water-filled pen to “color” on pages they can use over and over. There is simply no underestimating the usefulness of hand sanitizer when traveling with a family. By now, we all know how dirty airport security trays and airplane interiors themselves are. So buy yourself a little peace of mind when traveling with kids by having hand sanitizer at the ready. These one-ounce hand sanitizer bottles are sized to go through airport security with no issues and are also the perfect size to dole out to everyone in your entourage (they have a strap that attaches easily to backpacks and diaper bags, too). You can even use a dollop of hand sanitizer to dull irritation from bug bites and clean reading glasses in a pinch. Screens come to the rescue only when they’re charged. So be sure you have a (fully-charged) backup power source for your tablets and phones to help make it through those long flights and road trips where there’s no guarantee of a USB source for juice. 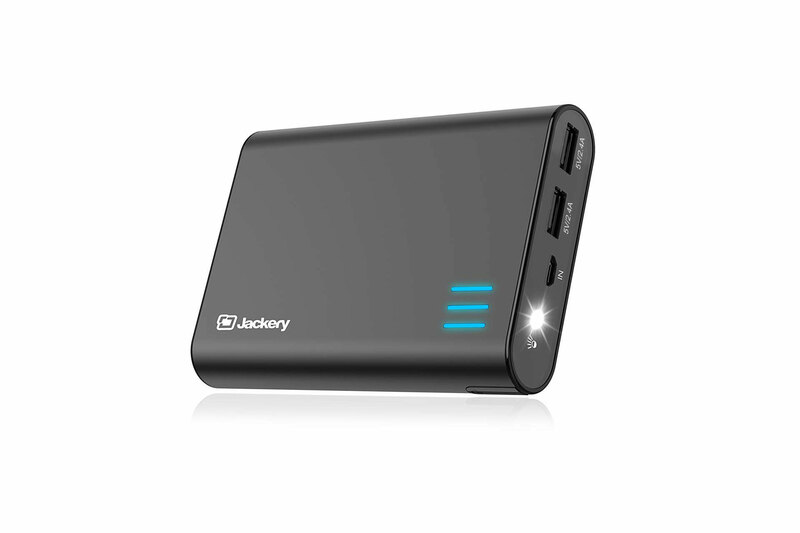 The Jackery portable charger is a good one with dual outports that let you charge two devices at the same time. The charger’s built-in flashlight feature is an additional function that can come in handy when you’re camping, or during those overnight flights when you find yourself scrounging around in the darkness for a misplaced item. Here’s a fun transportation-themed toy that’s easy to carry along and sure to get your toddler excited for travel. They’ll have fun (and kill time) peeling off the 55 magnets on three different sheets inside this tin box. 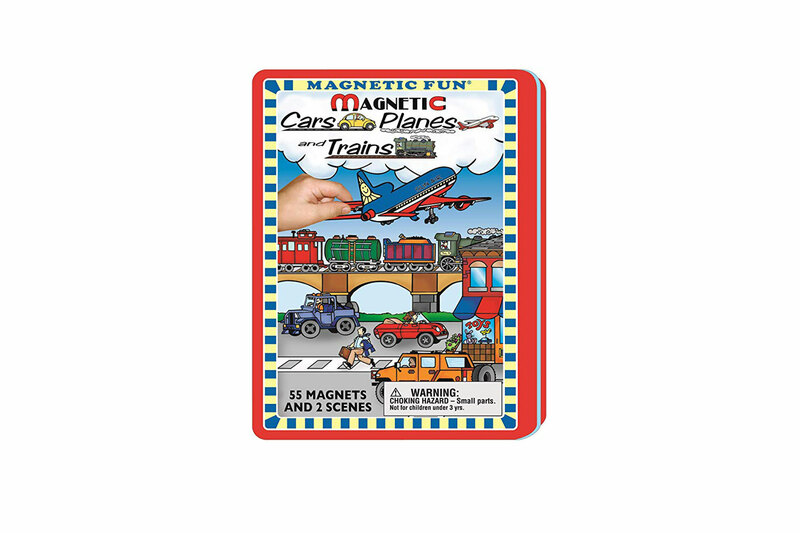 Then it’s time to stick the various cars, planes and trains onto the street scene illustration on the inside of the tin. Whiling away the long in-flight hours is all about finding ways to whittle down the time, and this easily portable toy is a good one for that. You’ll want to save pulling out this great little speaker from EWA until you get to your destination (nobody wants to hear Baby Shark blasting from seat 36D). 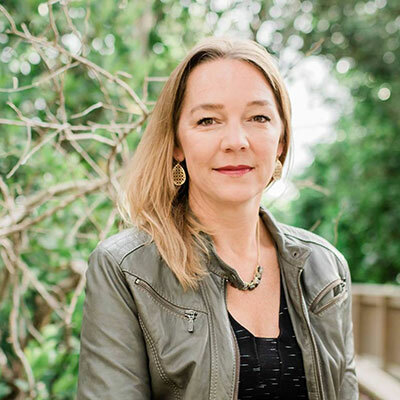 But it’s perfect for initiating an impromptu dance party with the kids in your vacation rental or hotel, or providing backdrop music for a picnic at the beach. 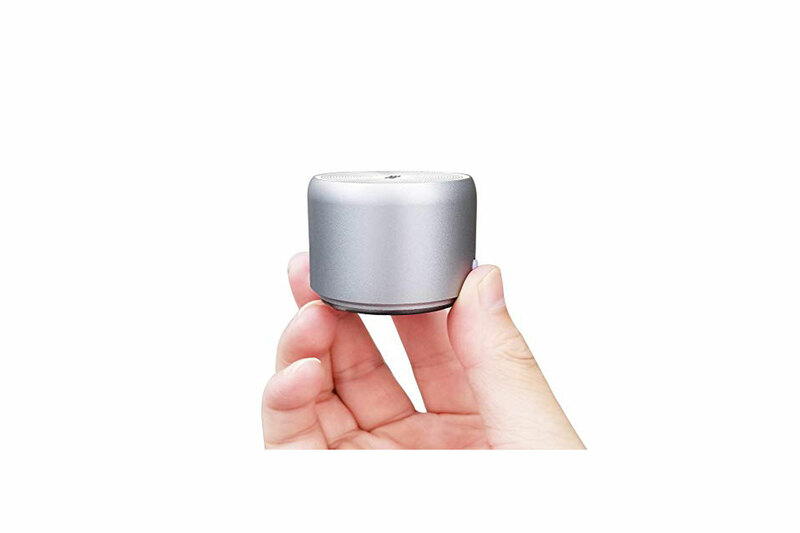 Small, but mighty when it comes to sound, the speaker weighs just over 6 ounces and comes with a metal hook and carrying case so you can just clip it to the outside of a backpack or diaper bag to keep it handy. The travel-friendly size of this small but useful first aid kit makes it a winner in our books for being ready for minor cuts and discomforts on the road. Among the 92 pieces packed into the small red pouch are moleskin padding to soothe blistered feet, an array of bandages, antiseptic towelettes, eye wash, sterile gauze, medical tape and much more. Consider buying a tube of triple-antibiotic ointment to pop in there, too, and do remove the scissors if you plan to carry the kit onboard with you when flying. A near-constant stream of snacks—dispersed at well-paced intervals—is a good way to keep your children behavior-motivated during a long flight. And mixing it up with some surprises is key to maintaining their interest and motivation. 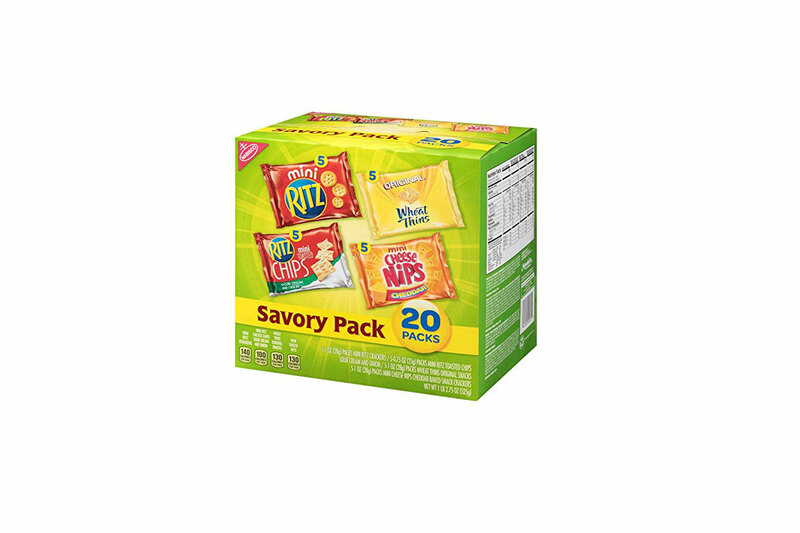 Consider buying a variety pack of travel-size snacks, like this one featuring various savory crackers from Nabisco, to dole out as the flight drags on.